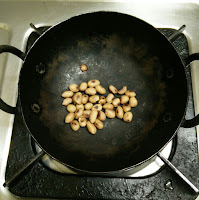 Dry roast the groundnuts and keep it aside. 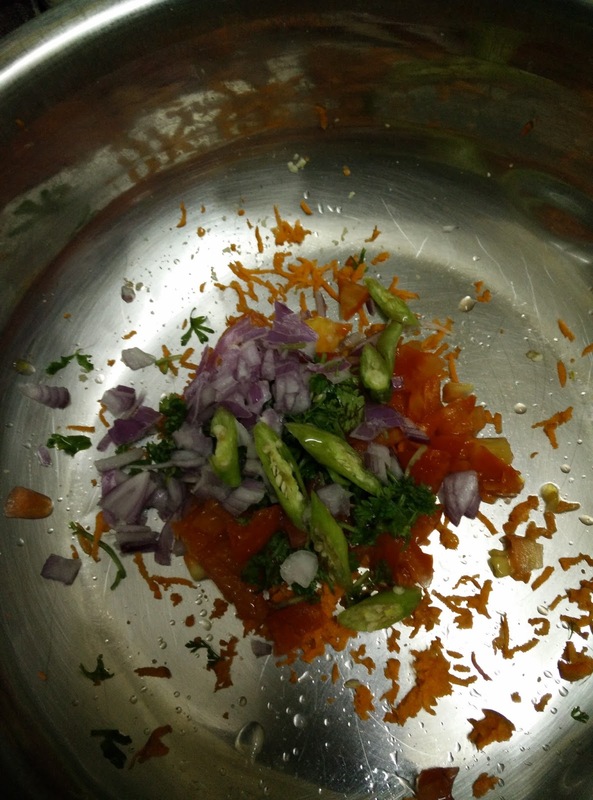 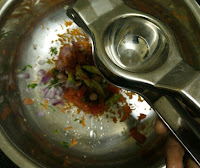 Take chopped onion, tomato, green chilly, coriander leaves and grated mango ( I did not use it as it is out of season) in a large bowl and mix well. 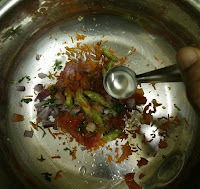 Now add coconut oil, lime juice, red chilly powder and salt to it and mix really well. 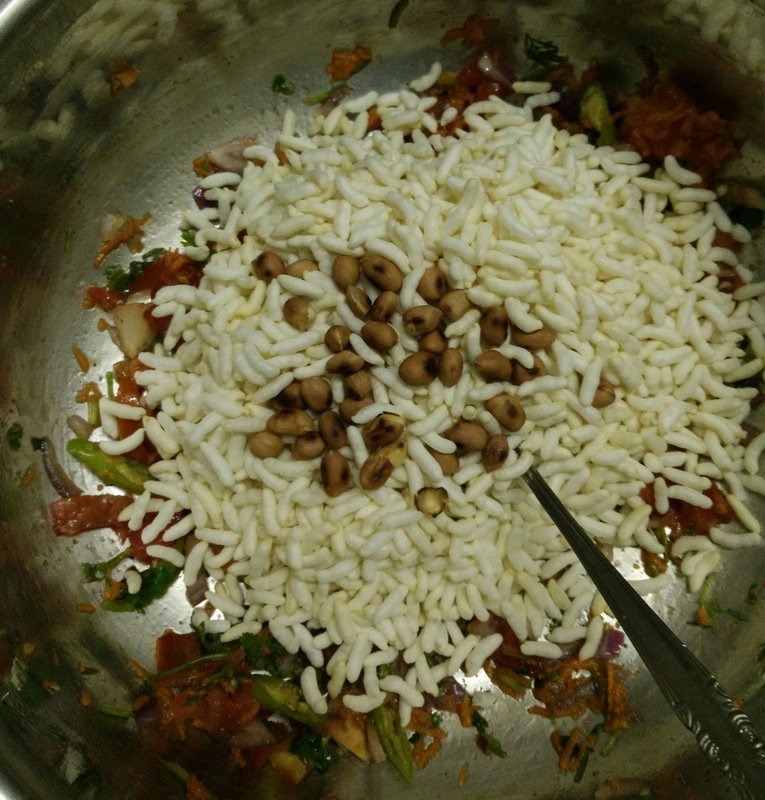 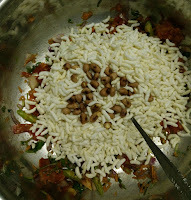 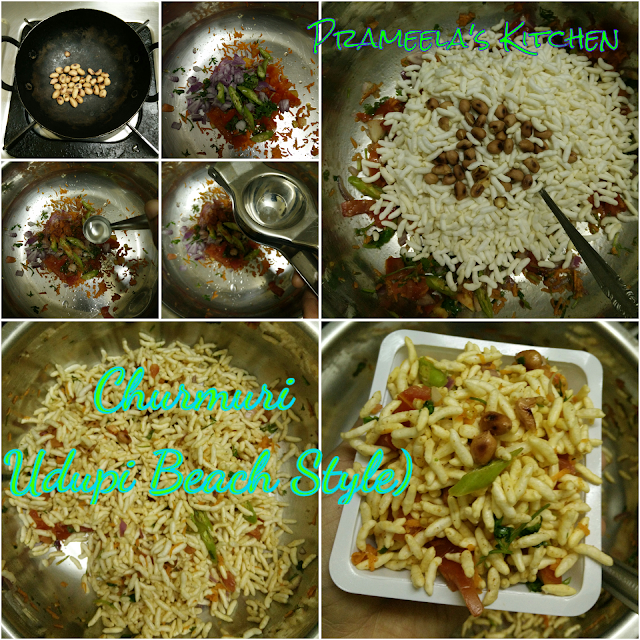 Now add crisp puffed rice and roasted peanuts .Mix it well again so that puffed rice is coated with spice mixture. 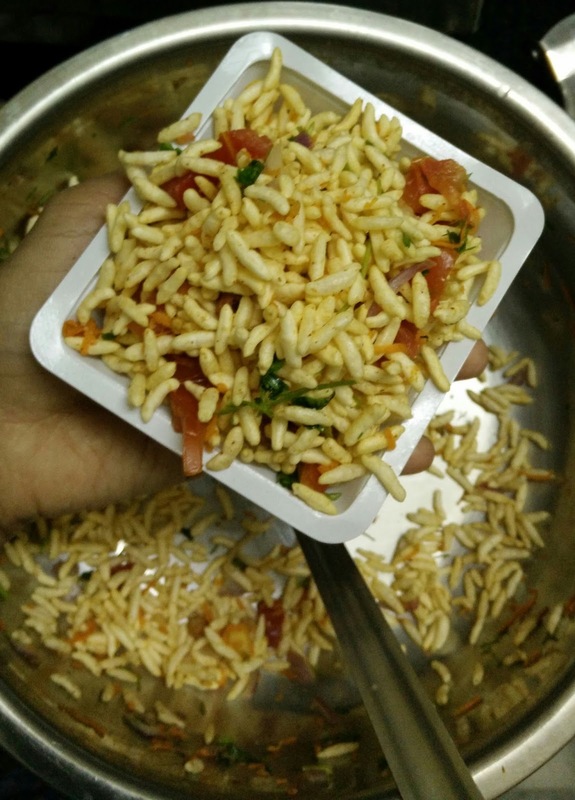 Serve it immediately and Enjoy !! 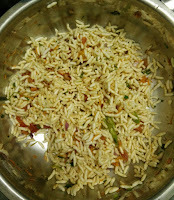 Always add puffed rice at the end and serve immediately, otherwise puffed rice becomes soft.